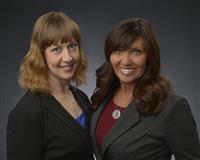 Both Stephanie and Lori hold the Accredited Buyer’s Agent designation, as well as the GRI and CRS designations. They have also been certified by the Institute for Luxury Home Marketing. Lori has been a Board Member with the Greater Nashville Association of Realtors, and they are both very active in GNAR and with the local Habitat for Humanity builds. As full time Real Estate Brokers, they specialize in First Time Home Buyers, Relocation, New Construction, Condominiums, and Luxury Homes. They are up to date on the Davidson County, Nashville market, as well as Williamson County and all of the surrounding areas. For Sellers, they focus their marketing on the latest internet sites, including Homes.com, Realtor.com, Zillow, Trulia, Yahoo, and Google. Multiple Photos, Slideshows and Virtual Tours help your listing get to the top of the home search results.